There is a vast difference between spiritual and sacramental Communion. We receive Christ spiritually by an act of faith. We receive Him sacramentally when we partake of the Sacred Species. Christ in Heaven is received by the children of the Church Triumphant under His proper species; that is, through perfect charity, or the most intimate union with Him. They receive Him neither sacramentally, by actually eating His Body and drinking His Blood, nor spiritually, by an ardent desire to do so, because the faith that motivates such a desire has become for them knowledge. As the two modes of reception, spiritual and sacramental, differ, so does our conscious response to them. In receiving Christ spiritually, the soul experiences the sense of a gentle interchange of thought between itself and its God. Immeasurably stronger is the effect of sacramental Communion. The Infinite Lover appears to overpower the devout soul, and so conscious is it of His presence that it surrenders itself to His love. Such a soul feels that it is no longer its own, but under the sway of omnipotence. Here, a question naturally suggests itself: How long does the fullness of the sacramental presence last? To assert that it perdures for life would be to deny that the Holy Eucharist is our daily bread, and would be inconsistent with our nature as finite, mutable mortals. If one Holy Communion sufficed for life, our time of trial would be an anticipation of Heaven, when our souls will be so transformed, so glorified in the rapturous consciousness of their eternal union with God, as to be invulnerable to change. This article is from “Transforming Your Life Through the Eucharist.” Click image to preview other chapters. In every worthy Communion, grace is increased in the soul; however, although we advance in virtue according to our cooperation with the sacramental Savior, on returning to the level of our ordinary duties, we experience a change from the full consciousness of closest union with Him to virtually the bare knowledge of having received Him. From this we are not to conclude that Christ has withdrawn from us. Even though we lack that feeling of fullness of grace that is ours when we receive Him, we are still one with Him. The flood-tide of grace has not ebbed from us, but only subsided within us, producing its salutary effects the more strongly, the more lovingly we correspond with it; but this grace works silently and in secret. In order that we may be able to receive Him, our Lord seems either to circumscribe His infiniteness or to enlarge our hearts. Both definitions conform to the mind of the sacred writer. In the eucharistic union, we may conceive ourselves as little children trying to empty the ocean into a tiny hole, or as souls launched upon its bosom, and intermingling with its vast and mighty life. We cannot fathom the mystery of the true, real, and substantial Presence of Christ within us, now truly our own. The Eternal God, infinite in power, dwelling in His finite, helpless creature! Overwhelming thought! In every Holy Communion, we taste the supernal sweetness of the divinely communicated life as it pours itself out in tidal waves of supernatural strength and the limitless riches of Christ’s blessings. To live our lives in the sustained consciousness of this transcendent union is a duty to which we should devote ourselves with increasing earnestness. The effect of the realization of the Divine Presence within us will purify our love of Christ, instill into us greater reverence for our indwelling God, inspire us with a wholesome fear that will quicken our sensitiveness to the least shadow of sin, develop a constant watchfulness over our feelings and their expression, enable us to wrestle unceasingly with our frailty and conquer our natural inclinations, discipline every power of the soul, mortify every sense of the body, and make us live to Him alone by dying to ourselves. But to benefit most by the grace of this sacrament, that our lives may, however imperfectly, illustrate the divine life of the God of the altar, serious preparation for Holy Communion is indispensable. How tensely expectant we would be, how moved to recollection, dispelling every distraction, were we assured that when we entered the church to receive Christ, He would show Himself to us as He is! Yet can we question His word, which guarantees the reality of His Presence even though it is hidden from our eyes? Editor’s note: This article is from a chapter in Fr. 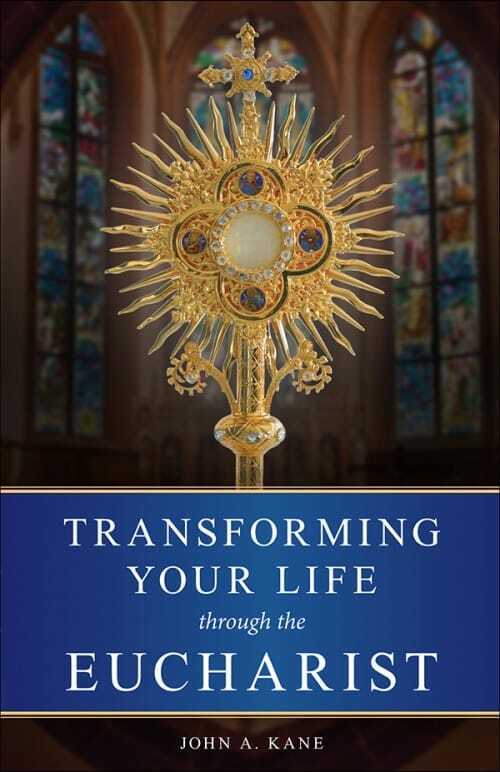 Kane’s Transforming Your Life Through the Eucharist, which is available from Sophia Institute Press.